New England was the first region that was discovered, settled, and established in the United States, making it rich in history. 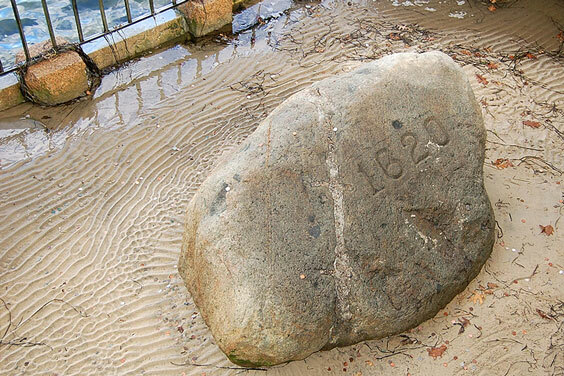 While the English Pilgrims are commonly given credit for being the first to arrive here, this isn't really the case. The English Pilgrims do deserve credit for sowing the seeds of civilization in New England, but the first settlers came to New England thousands of years ago. The first evidences of early human activity in New England are fossils that were found in Shawville, Vermont and Wapanucket, Massachusetts. The first European explorers to come to New England, Leif Erikson and his Vikings, were thought to have landed in the year 1000 AD. Some years later, several families and livestock were sent to live in what was referred to as "Vinland the Good." 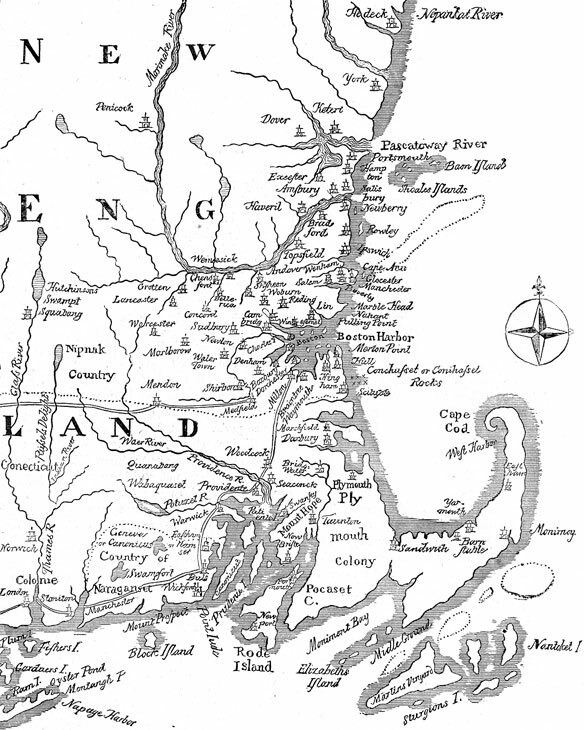 The exact location of Vinland the Good has been debated, some thinking it is Newport, Rhode Island, others thinking it was a location in Massachusetts near Plymouth, and still others believing it was not in New England at all, but rather at the northern tip of Newfoundland. In any case, due to the isolated location, the harsh climate, and difficulties between the natives and Vikings, the Vikings soon headed back to Greenland and did not return. The Algonquians, the first Native Americans to live in New England, came to the region during the 15th and 16th centuries. There were many tribes that comprised the Algonquians, who were agricultural and fairly sedentary, moving short distances when the seasons demanded. Early Native Americans were able to successfully grow pumpkins, beans, tobacco, and corn; they rounded out their diets with a wide variety of local meat and fish. The number of tribes, and the fact that these tribes were rarely able to co-exist peacefully, factored into the Europeans' ability to eventually take over the area. The tribes were so contentious toward one another that they were not able to form a unified front against white settlers. The first European to visit New England shores since the Vikings was probably John Cabot. 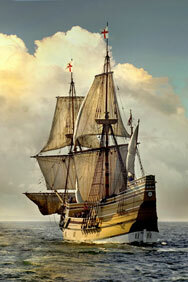 Giovanni da Verrazano, Jacques Cartier, and the Portuguese also explored New England. But no one settled and prospered in New England until the English Pilgrims landed in Plymouth, Massachusetts, in 1620, after several aborted attempts by other countries and explorers. The Pilgrims endured a harsh winter, disease and death, and difficult relations with Native Americans until a treaty of friendship was signed in the spring. The Pilgrims held a feast of celebration to honor that friendship near the anniversary of their arrival, which is still celebrated today as Thanksgiving. As life in New England improved and became more civilized, more settlers came to live there. Several different colonies sprung up around Massachusetts, and during the late 1630s the Massachusetts legislature was formed. Eventually, settlers branched out and formed towns and colonies in Connecticut, Maine, New Hampshire, Rhode Island, and Vermont. While the new colonies had essentially been left to their own devices and allowed to govern themselves, they were still officially under England's rule. In 1765, England decided to assert its power over New England by enacting the Stamp Act, which was essentially a tax that made North Americans pick up the tab for British military expenses. New Englanders did not appreciate being taxed without their consent or input, and political turmoil began, in which North America strove to separate itself from England. The conflict became bloody and violent, turning into what is now known as the American Revolution. The British sent 700 troops to descend on Boston, and while the Battle of Bunker Hill was technically won by the British, the casualties for them were immense. In 1776 George Washington drove the British from Boston, and on July 4 the Declaration of Independence was signed, giving New England, and other parts of North America, its freedom. New-England-Map.com. All rights reserved. About Us.